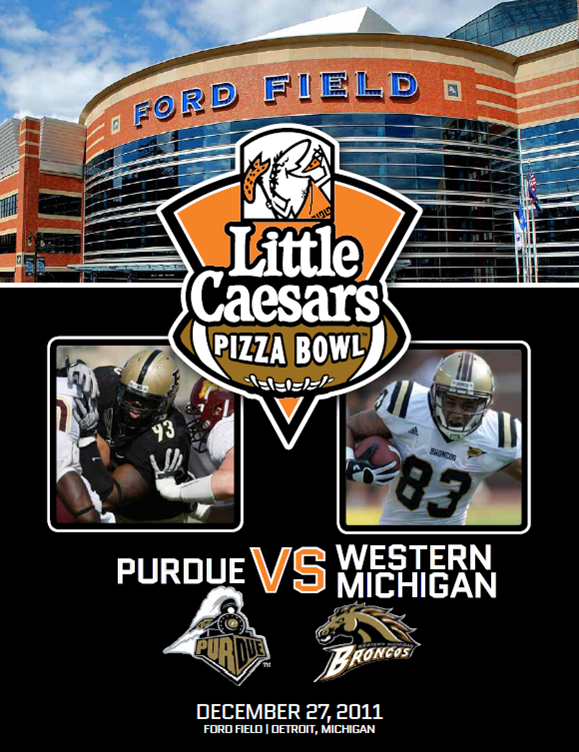 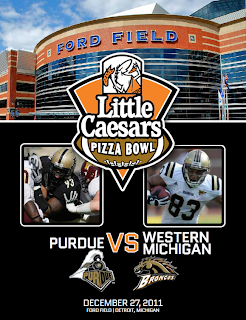 Little Caesars has a FREEBIE in honor of The Pizza Bowl that is playing in Detroit tonight at Ford Field. 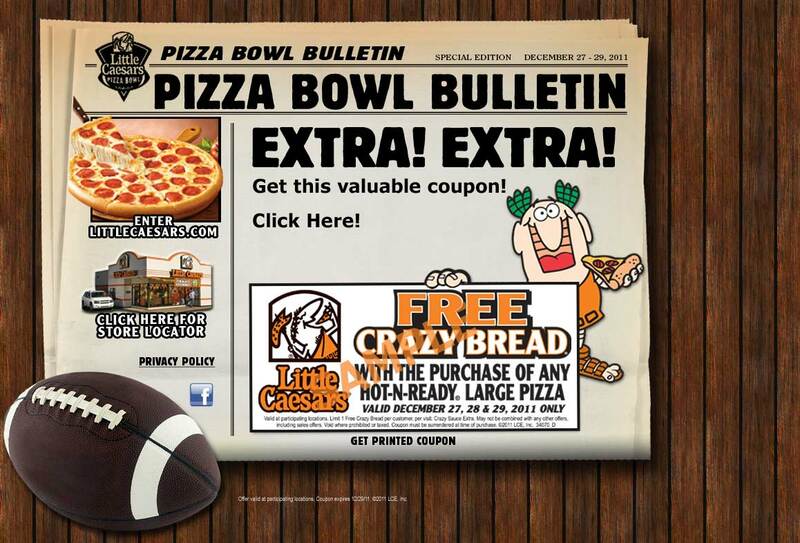 From now until Thursday, December 29th, you can use this coupon to get FREE Crazy Bread® with any HOT-N-READY® pizza purchase. 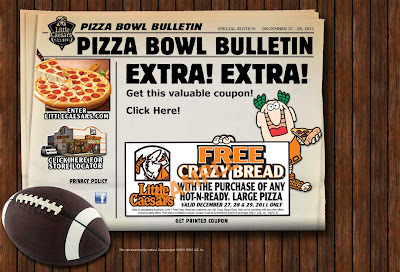 A Large HOT-N-READY® pizza is only $5 so this coupon will also get you an 8 piece order of Crazy Bread added to your order for the same low, low $5 price.